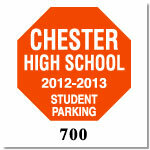 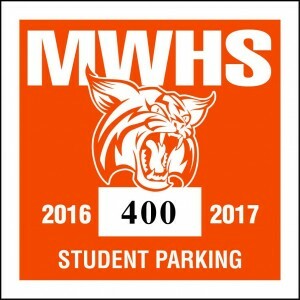 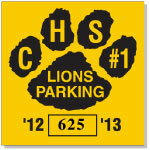 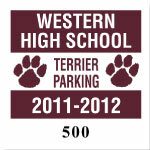 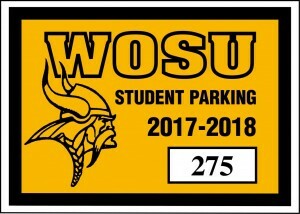 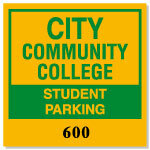 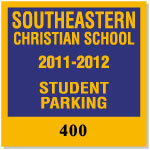 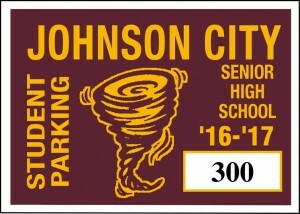 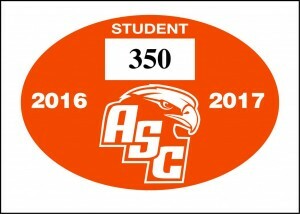 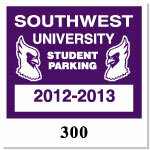 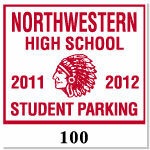 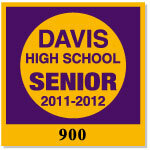 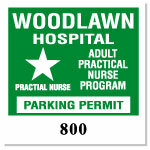 Over 45 Years of Providing Parking Permit Decals, Parking Stickers and Hang Tags at Great Prices for High Schools, Colleges, Universities, Businesses, Communities, etc.. Let us create a custom parking decal or sticker for your school or institution with one of our designs with your mascot or logo, or just let us create a unique design for your school or institution. 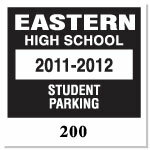 Parking permit decals and stickers are ideal to control and monitor parking lots for High Schools, Colleges, Universities, Businesses, Communities, etc.. 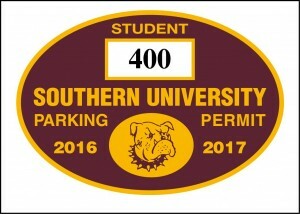 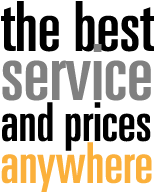 If there is not a design from our list of customer favorites we will create a custom permit with your mascot, emblem or logo. 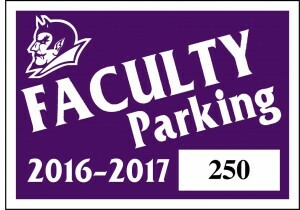 We have a creative art department that can design a custom parking permit decal or sticker that reflects your school spirit or your institutions logo.